Rincon Marketing Fund – Copies of the 2017 Rincon Tourism Map are only $2.00 plus shipping and will help you plan the best vacation to Rincon possible. 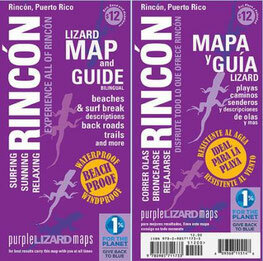 It's even easier to explore Rincón with a copy of our new tourism map produced by the Rincon Map Fund! The Rincon Interactive Map is a great resources to fins the Rincon business you are looking for. The map is based on the Rincon Marketing Fund Map, but avaialble on the internet with photos of each listed business and categories to make searches easier. Try it here. Surf, Play & Stay Rincon, Puerto Rico - Whether you are planning a trip to Rincón, currently visiting or a resident of Rincón, Surf, Play & Stay Rincón provides the most complete and comprehensive guide to the wonderful area of Rincón currently available. A tour of our site will provide you with a wealth of information on Great lodging and Good places to eat and drink. 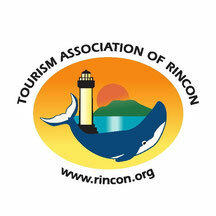 The site includes some other very useful features like the Rincón Business Directory and Rincón Talk.